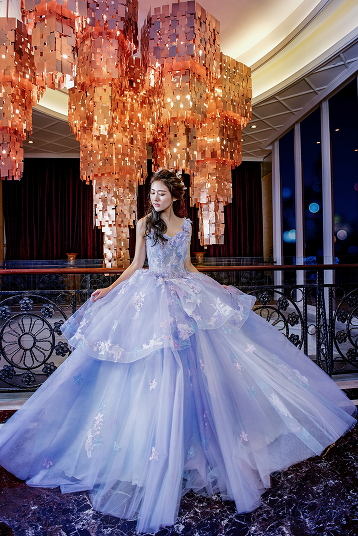 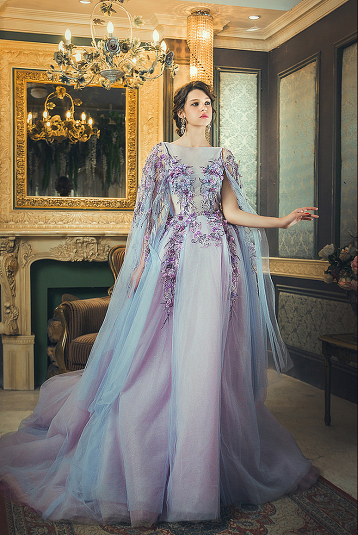 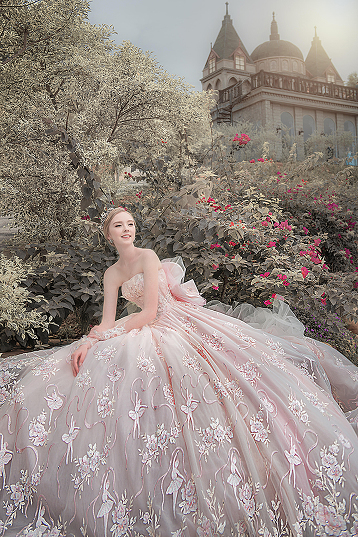 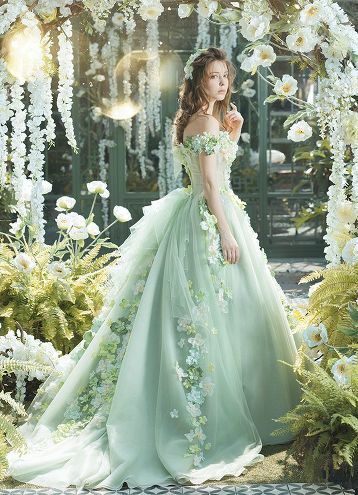 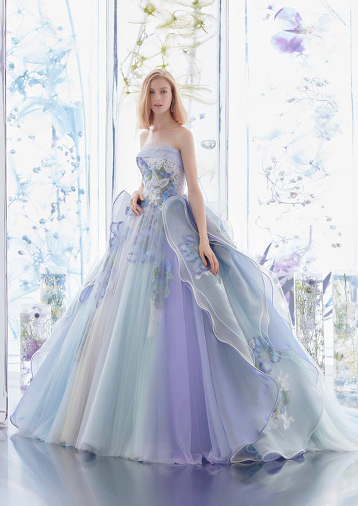 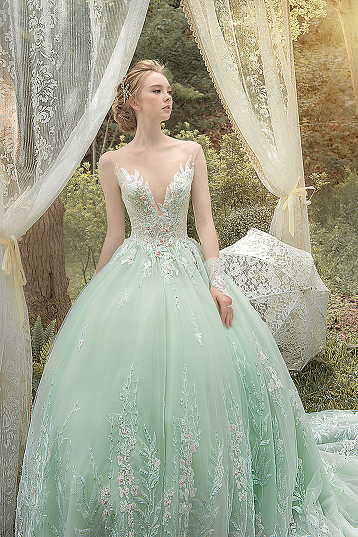 This ombre pastel gown from Hardy Amies London featuring floral embroideries is sure to fulfill your princess dream! 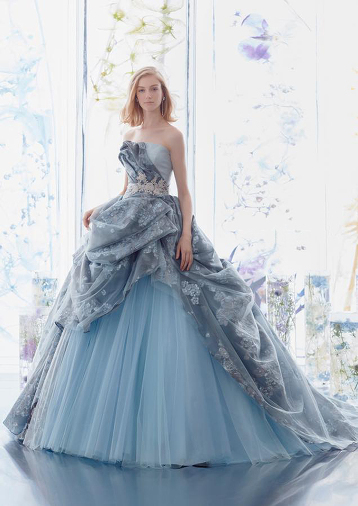 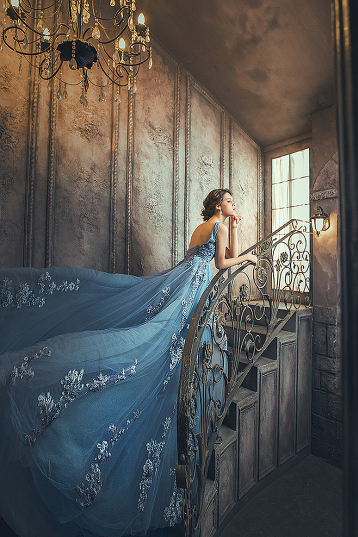 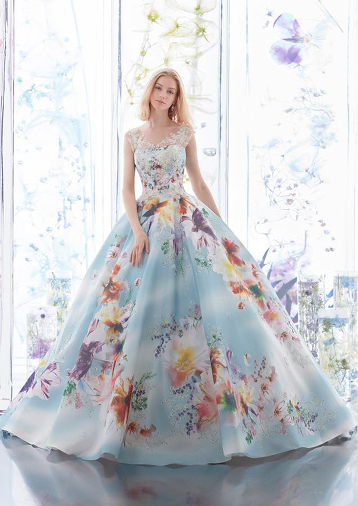 So in love with this romantic baby blue ball gown from Hardy Amies London featuring blooming floral prints! 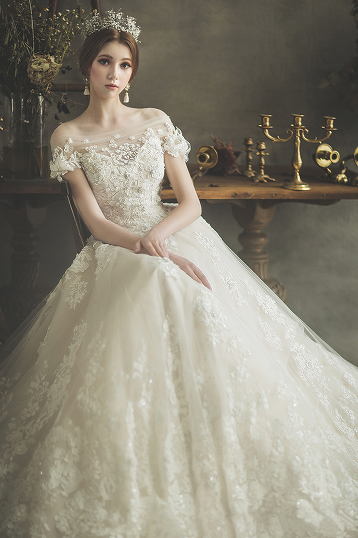 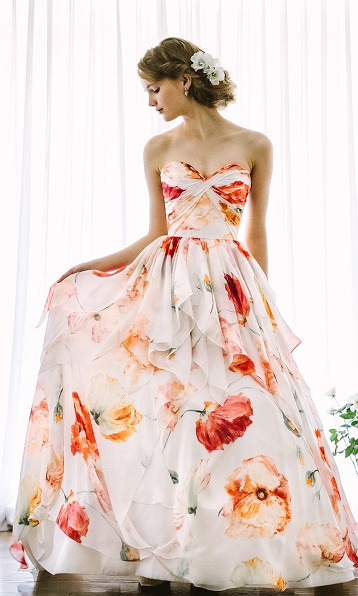 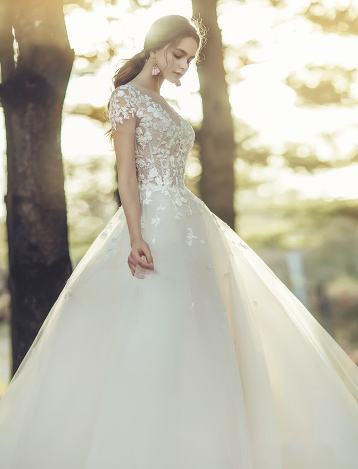 This blush wedding dress from Victoria Soprano featuring romantic floral appliques is off the charts beautiful! 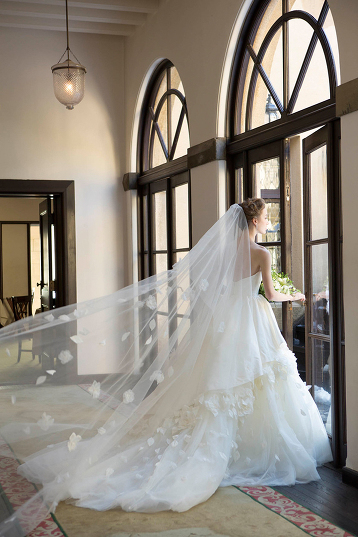 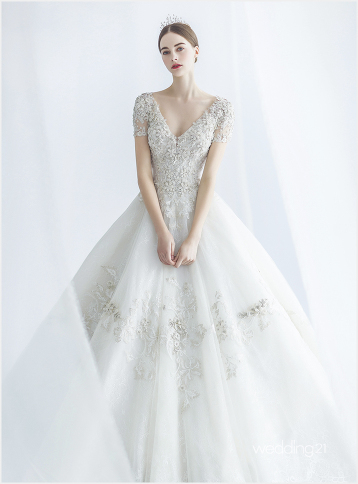 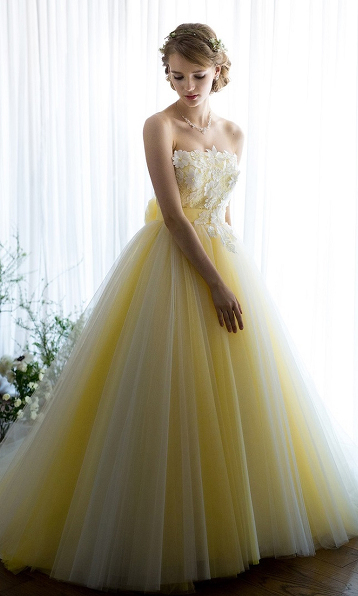 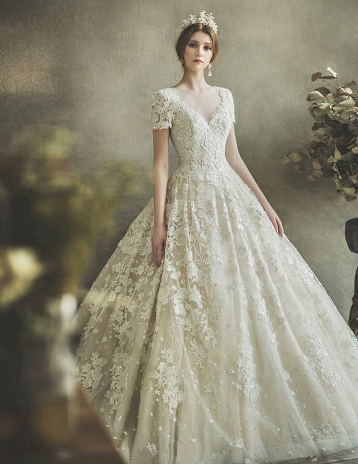 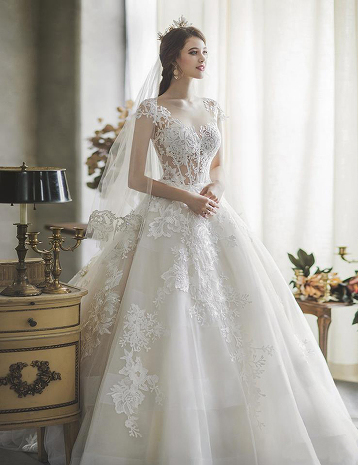 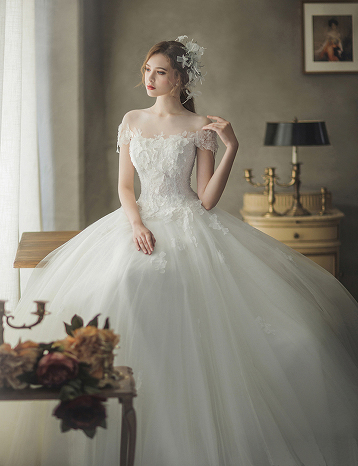 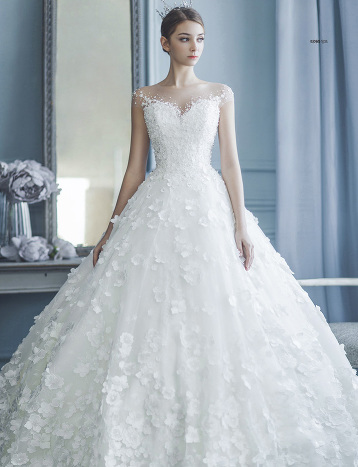 This chic wedding dress from Digio Bridal featuring romantic floral appliques is overflowing with whimsical spirit!